Unlike its older sibling Circles Widget on prior Droids, the new Command Center app *does* work with third party launchers. 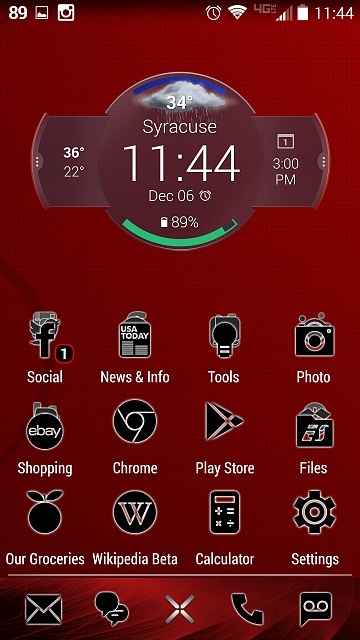 Or at the very least it is working just fine with Nova Launcher on my Turbo (64GB BN). Not life changing, but I know the Circles Widget has been very popular, so it's nice to be able to use it and still be able to customize. Works on Google Now launcher too. What's that icon pack you're using!? Avoiding connection to Wifi with low signal? Why does my game app shut down for no reason? How do I tether with Straight Talk?